Some things beg to be created. Some stories long to be told. This is one of them. Whether you are a client, friend, or regular reader, you have my heart. I never would have risked creating this were it not for your kindness and encouragement. This is for you. 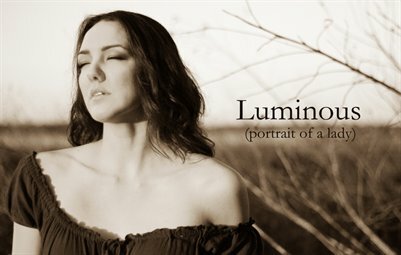 "Luminous" beautifully displays the top 20 images from this, Lauren Richwine's first conceptual shoot telling the story of a woman's journey from earthly, wild beauty to a place of inner luminance, purity of heart, and passion.